When placing an interpreter for a London based client event or meeting, we have to ensure we maintain the highest calibre of interpreting service to meet our very exacting standards. So what are we looking for in a potential interpreter for our London team? In order for our interpreters to accurately and professionally mediate between our clients in the two languages, we must seek an applicant that is fluent in the languages required. We check that their qualifications are at a level to meet our guidelines, these will include a bachelor’s degree and formal training in interpreting. It will be important for us to see our applicants demonstrate their ability to be agile and adaptable to what can sometimes be a rapidly changing situation with regards to the conversations or subject matters. It is important that some of this experience is gained whilst working overseas. This is an excellent method of being able to be immersed in the culture of the language and therefore provides a much clearer understanding of the nuances and contexts in which certain words and phrases can be used. Our London based team of interpreters are highly experienced in a range of subjects from medical / pharmaceutical through to financial, legal, technical and engineering. We always look for our interpreter recruits to have a solid background and understanding of the industry in which they have chosen to be an interpreter. This may also include time spent in the industry and relevant qualifications to bachelor degree standard. We have often made reference in our previous articles to the importance of being socially and culturally aware when interpreting from one language to another. It can be very easy to make a slight error which could make the translation either inaccurate or even offensive. Therefore we look for our potential interpreter to be fully appreciative and have a solid understanding of the cultural differences between the languages being translated. Being an interpreter, especially being based at our London office, is a very people orientated and personable profession. Our team interact with people in both professional and social environments and therefore we look for candidates that display personal traits that are a best fit for this type of work. It sounds like stating the obvious, but it is vital that interpreters are excellent listeners as well as being able to display positive body language, vocal tone whilst being confident, eloquent and being able to speak clearly. What type of interpreting will be done? Simultaneous Interpreting- Working in real time translating continuous live conversation. Consecutive Interpreting– Working real time with speaker pausing for interpretation. Online Live Webinar Interpreting– Working in real time interpreting live web chats / webinars. Whispering Interpreting– Like simultaneous only the interpreter sits next to the client and whispers the translation in the ear. Phone/Video Interpreting- Working in real time translating continuous live conversation via a video link or conference call. Although we have a team of technical experts that will accompany our interpreters to client events and conferences, we encourage our interpreters to have a good understanding of the equipment we have supplied. 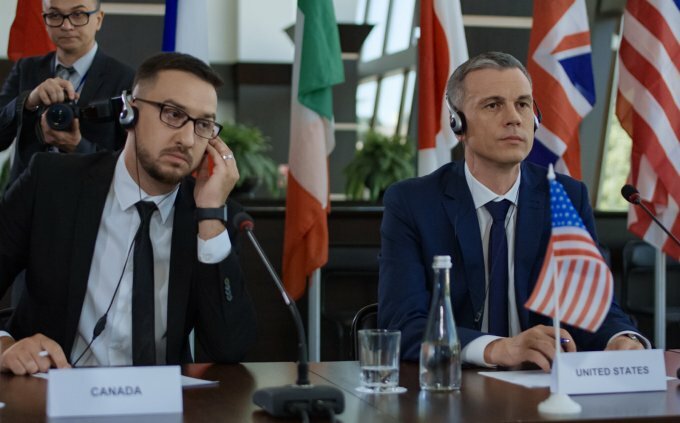 Here at Romo Translations, we only look for the very best interpreters, people that have the skills and abilities to travel to business meetings and conferences around the world providing the very best interpreting services. If you are considering becoming an interpreter in London and would like to see if Romo Translations is the right career move for you, please give us a call on 0203 696 8680, we would welcome your call. Or, if you are looking to hire a professional interpreter for a London Event or Meeting please give us a call.